^ Heroes. Valve Corporation. [February 13, 2015]. ^ Kolan, Nick. The Heroes of Dota 2. IGN. September 16, 2011. （原始内容存档于2012年10月23日）. ^ McWhertor, Michael. Dota 2 is getting a Steam VR spectator mode, according to Valve teaser. Polygon. [April 6, 2016]. ^ Reilly, Jim. Valve Goes Big with Dota 2 Tournament. IGN. August 1, 2011. （原始内容存档于November 9, 2012）. ^ Hafer, TJ. Dota 2: The International 3 announced. PC Gamer. April 25, 2013 [August 15, 2013]. ^ Gaston, Martin. Dota 2's The International 3 reaches $2m prize pool. GameSpot. May 16, 2013. ^ Schulenberg, Thomas. The International 3 begins, Prize pool of over $2.8 million. Joystiq. August 4, 2013 [August 15, 2013]. ^ Introducing the Interactive Compendium. Dota 2. [July 7, 2016]. ^ Newhouse, Alex. $10 Million Dota 2 International Exceeds Super Bowl, Masters, and Tour de France Prizes. GameSpot. June 27, 2014 [October 12, 2015]. ^ Phil Savage. The International 2015 prize distribution announced. PC Gamer. July 21, 2015 [July 21, 2015]. ^ Daultrey, Stephen. Pakistani teenager becomes youngest gamer to surpass $1million in eSports earnings as Dota 2 tournament sets major records. Guinness World Records. [September 5, 2015]. ^ Dota 2 - The International. [Dec 19, 2016]. ^ Strisland, Jonas. ESWC: DotA 2 Final. Cadred. October 25, 2011. （原始内容存档于June 5, 2012）. ^ Macdonald, Stuart. PGT outlines best paying games of 2011. SK Gaming. January 7, 2012. （原始内容存档于May 28, 2012）. ^ Hanten, Ulrich. WCG 2012: DotA and Dota 2 groups drawn. Gosu Gamers. December 2012 [March 3, 2013]. ^ Savage, Phil. ESL announce the largest independent Dota 2 competition so far. PC Gamer. January 28, 2013 [March 3, 2013]. ^ Nordmark, Sam. DK win WPC-ACE League!. onGamers. January 1, 2014 [January 27, 2014]. （原始内容存档于February 3, 2014）. ^ Horton, Samuel. Nexon to invest $1.7 million in Dota 2. SK Gaming. June 13, 2012. ^ Bailey, Matthew. The ASUS ROG DreamLeague will be the first tournament supported by a third party Compendium. onGamers. February 26, 2014 [October 12, 2015]. （原始内容存档于March 6, 2014）. ^ Strom, Steven. The Eastern International. Red Bull. [July 12, 2016]. ^ Bester, Alan. The Great Chinese Collapse of the Shanghai Major. ESPN. [July 12, 2016]. ^ Fossett, Wyatt. How Videogames Became a Sport, and Why They're Here to Stay (Hint: Money!). Tech Vibes. [15 July 2016]. ^ 24.0 24.1 Sykes, Tom. Dota 2 Major Championships announced. PC Gamer. [June 14, 2016]. ^ Dyer, Mitch. Valve Announces The Dota 2 Major Championships. IGN. April 24, 2015 [November 15, 2015]. ^ Porter, Matt. Dota 2 Major Announced for Frankfurt. IGN. [13 October 2016]. ^ Strom, Steven. $3 Million Dota 2 Tournament Ends With an Upset and an Announcement. IGN. [13 October 2016]. ^ Thursten, Chris. Valve have announced the Dota 2 Shanghai Major. PC Gamer. [December 1, 2015]. ^ Lee, Timothy. Team Secret defeats Team Liquid to win the Dota 2 Shanghai Major 2016. ESPN. [July 7, 2016]. ^ Cocke, Taylor. OG wins Manila, becomes first team to win two Dota 2 majors. esports.yahoo.com. Yahoo. [June 14, 2016]. ^ Sutterlin, Alan. The postive impact of Valve's Majors format on the Dota 2 esports scene. ESPN. [June 27, 2016]. ^ Albert, Brian. Dota 2's $20 Million International Starts Today. IGN. [4 August 2016]. ^ Erzberger, Tyler. Teenage captain leads esports team to $9.1 million prize. ESPN. [14 August 2016]. ^ Van Allen, Eric. Valve plans to reduce number of majors in 2017. ESPN. [6 August 2016]. ^ Good, Owen. Dota 2's second championship season begins with The Boston Major. Polygon. [5 October 2016]. ^ Makuch, Eddie. The International hits 1 million concurrent viewers. Gamespot. August 13, 2013 [April 1, 2014]. ^ Van Allen, Eric. TobiWan: The voice of Dota 2. ESPN. [6 August 2016]. ^ Schwartz, Nick. 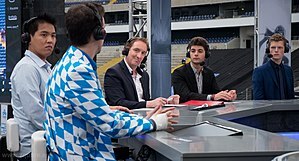 ESPN embraces eSports, broadcasts Dota 2 championship 'The International'. ESPN. [June 29, 2016]. ^ Lewis, Richard. ESPN 'delighted' with 'Dota 2' numbers, looking to expand deeper into esports. Daily Dot. [June 29, 2016]. （原始内容存档于2016年7月29日）. ^ Lund-Hansen, Rasmus. German TV to broadcast ESL One Dota tournament. gamereactor.eu. [June 29, 2016]. ^ The Defense: joinDOTA’s Flagship Dota 2 Tournament Returns and Hits Danish Television. Gamasutra. [July 10, 2016]. ^ 电竞产业或迎春天 Dota 2上今日新闻联播. fight.pcgames.com.cn. [July 10, 2016] （中文）. ^ Astro offers The International 2015 DOTA 2 Championships LIVE. astro.com.my. [June 29, 2016]. ^ Banusing, Justin. Catch The Manila Major Finals Live Philippine Coverage on TV. esports.inquirer.net. [June 29, 2016]. ^ Dota 2. Game Rankings. July 16, 2013 [September 5, 2013]. ^ Dota 2. Metacritic. July 16, 2013 [September 5, 2013]. ^ Patrick, Hancock. Dota 2. Destructoid. July 24, 2013 [July 25, 2013]. ^ Edge Staff. Dota 2 review. Edge Magazine UK. [August 2, 2013]. ^ Smith, Quintin. Dota 2 review. Eurogamer. July 16, 2013. ^ Gaston, Martin. Dota 2 Review. GameSpot. July 19, 2013. ^ Cameron, Phill. Dota 2 Review. IGN. July 24, 2013. ^ Thursten, Chris. Dota 2 review. PC Gamer. August 7, 2013 [August 7, 2013]. （原始内容存档于2013-08-10）. ^ McCormick, Rich. Dota 2 Review. VideoGamer.com. July 26, 2013 [July 29, 2013]. （原始内容存档于2013年8月29日）. ^ MacDonald, Keza. IGN People's Choice Award: And The Winner Is.... IGN. August 23, 2011. （原始内容存档于November 5, 2012）. 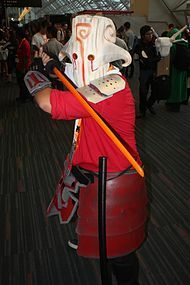 ^ PC Gamer. The PC Gamer 2012 Game of the Year nominees. PC Gamer. December 11, 2011. （原始内容存档于January 15, 2013）. ^ E-Sport of the year: Dota 2. PC Gamer. December 29, 2013. ^ Connors, Cody; Rom, Kim. 2013 onGamers Esports Industry Awards. onGamers. January 5, 2014. （原始内容存档于January 6, 2014）. ^ Best PC Game. GameTrailers. December 30, 2013 [December 31, 2013]. ^ Best PC Strategy & Tactics Game. IGN. January 9, 2014. ^ Best PC Multiplayer Game. IGN. January 9, 2014. ^ Game Informer Best Of 2013 Awards. IGN. January 7, 2014 [January 25, 2014]. ^ The winner of Destructoid's best of 2013 competitive game. Destructoid. December 24, 2013 [January 3, 2014]. ^ BAFTA Games Awards 2014 Winners Announced. IGN. March 13, 2014 [March 21, 2014]. ^ Nominees. The Game Awards. [November 30, 2015]. （原始内容存档于2015年11月14日）. ^ DOTA 2 Global Game Awards Nominee 2015. Global Game Awards. [November 30, 2015]. ^ Lahti, Evan. Dota 2 breaks concurrent Steam players record (again). PC Gamer. May 20, 2013 [May 21, 2013]. ^ Pitcher, Jenna. Dota 2 breaks own record for most concurrent users on Steam. Polygon. May 21, 2013 [May 21, 2013]. ^ Peel, Jeremy. Dota 2 had more players yesterday than the rest of the Steam top ten put together. PC Games. May 24, 2013 [June 12, 2013]. ^ Good, Owen. Dota 2 is Steam's first game with 1 million users playing at the same time. Polygon. [October 28, 2015]. ^ Maiberg, Emanuel. Dota 2 Hits 1 million Concurrent Players, Still Far Smaller Than League of Legends. GameSpot. [October 28, 2015]. ^ Prescott, Shaun. Twitch users watched 459,366 years worth of content in 2015. PC Gamer. [July 10, 2016]. ^ McWhertor, Michael. 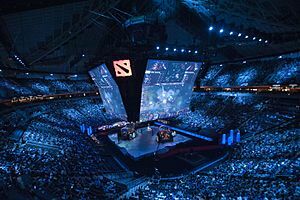 The International Dota 2 tournament watched by more than 20M viewers, Valve says. Polygon. [22 July 2016]. ^ Thean Eu, Goh. Astro gets into e-sports, Dota 2 broadcast pulls in 1.5mil viewers. Digital News Asia. [22 July 2016]. ^ Aitchison, Kaci. Millions of people from around the world are watching THIS game. q13fox.com. Fox. [20 August 2016]. ^ GR Staff. GameRevolution's Top 25 PC Games - 2013 Edition. Game Revolution. December 26, 2013 [January 3, 2014]. ^ Peckham, Matt; Eadicicco, Lisa; Fitzpatrick, Alex; Vella, Matt; Patrick Pullen, John; Raab, Josh; Grossman, Lev. The 50 Best Video Games of All Time. Time. [23 August 2016]. ^ The PC Gamer Top 100 (20-11). PC Gamer. [26 August 2016].